Probably the cutest of the cute animals out there, the bunny rabbit is a perennial favorite both as a pet and as a mascot all around the world. And everyone is reminded of this come Easter time. 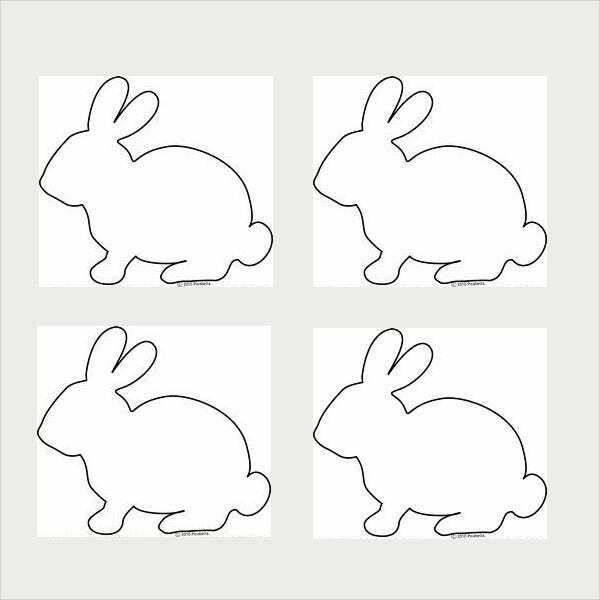 Whether you’re preparing for a fun-filled Easter party with the whole family or you just like bunnies, these Rabbit shape templates will give you (and your kids) hours of creativity and joy. These versatile templates are available to download and print at no cost. Use them as craft projects, Fun coloring pages, design templates, decorative pieces and whatever else you can think to use them for. How do you keep restless children occupied before or after the traditional Easter egg hunt? Here you can find all the arts and crafts resources you’ll ever need to keep them engaged and out of trouble. 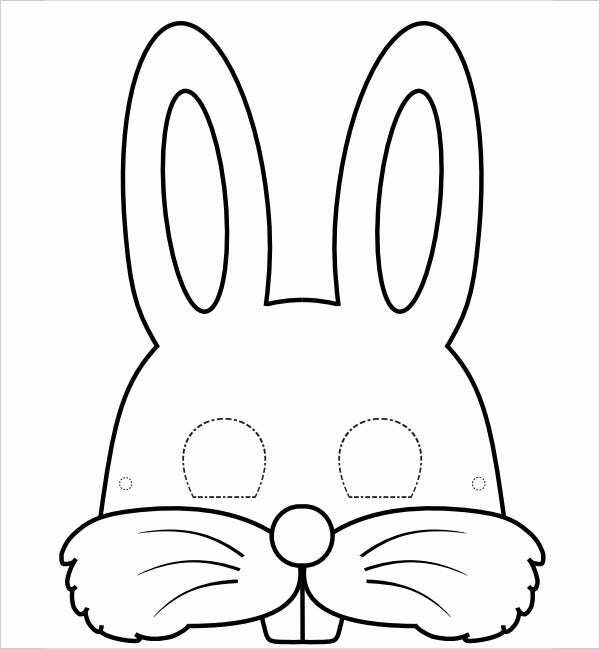 You can get the Bunny Mask Template right now for free as a PDF file. Print this out as a craft activity for your child to color in and decorate. Once you help them cut around the dotted lines for the eyes, thread some string through the side holes and you’re done. 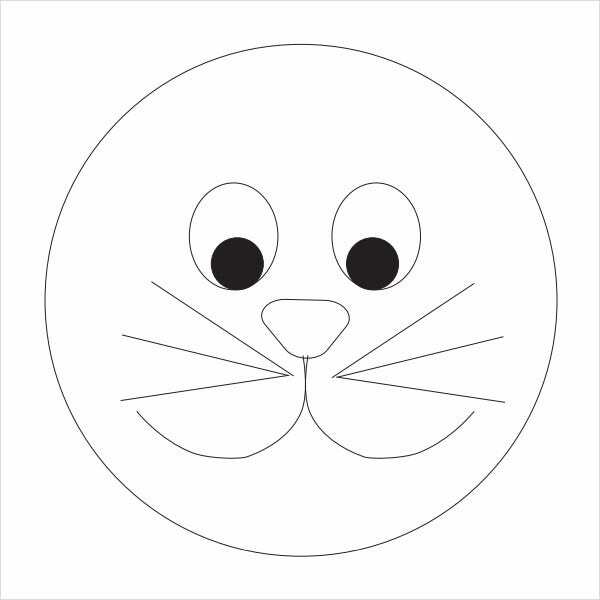 For much younger kids, the Bunny Face Template will be safer, since there will hardly be any scissors involved to cut out tricky spaces. 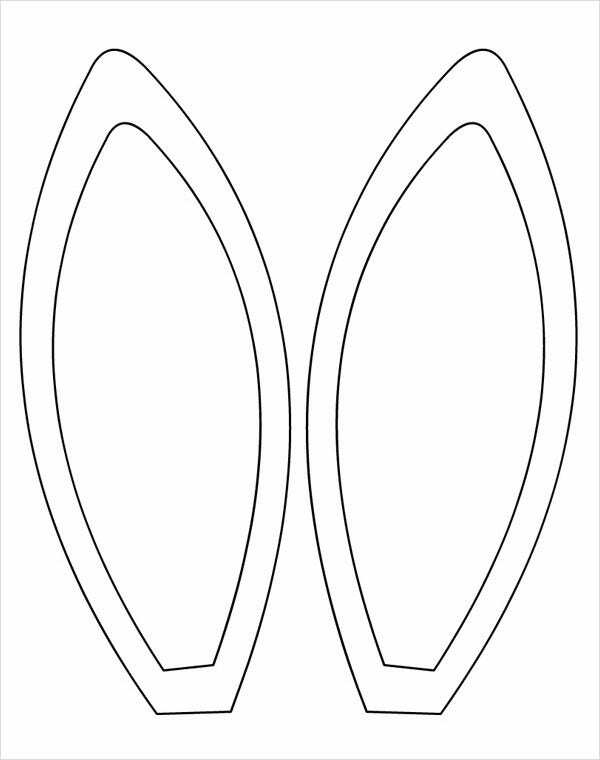 Pair this with the Bunny Ears Template for a full mask, or just use the bunny ears attached to headbands (along with some face-paint rabbit nose and whiskers). Bunny masks might encourage children to jump around too much, however. For something more manageable, there’s nothing like a series of Easter coloring pages to keep them busy for hours of fun. 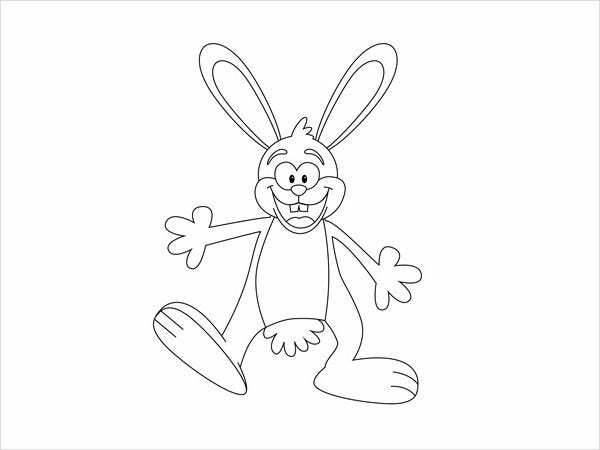 Give Bugs Bunny a rest and download the fun Easter Bunny Template to use as another party activity or as part of your designs for greeting cards. Find similar black-and-white templates as well as full-color options by clicking the Download button. 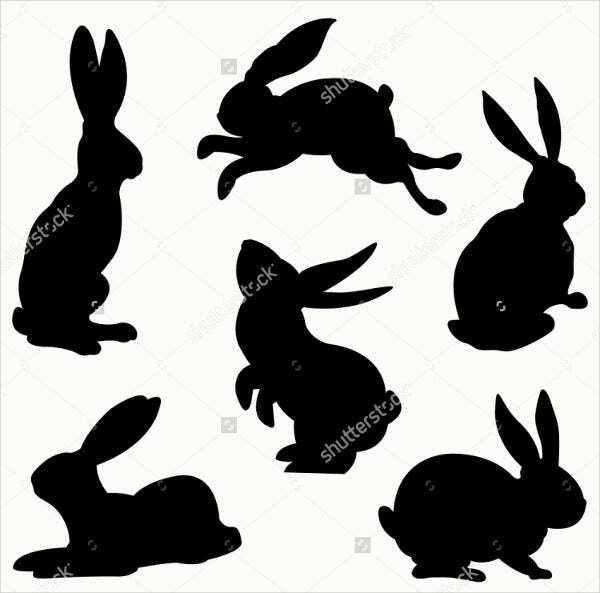 For more coloring outlines, click the Download button under the Printable Bunny Template offer, and you will get more than 26 cute rabbit clip art designs up for grabs. 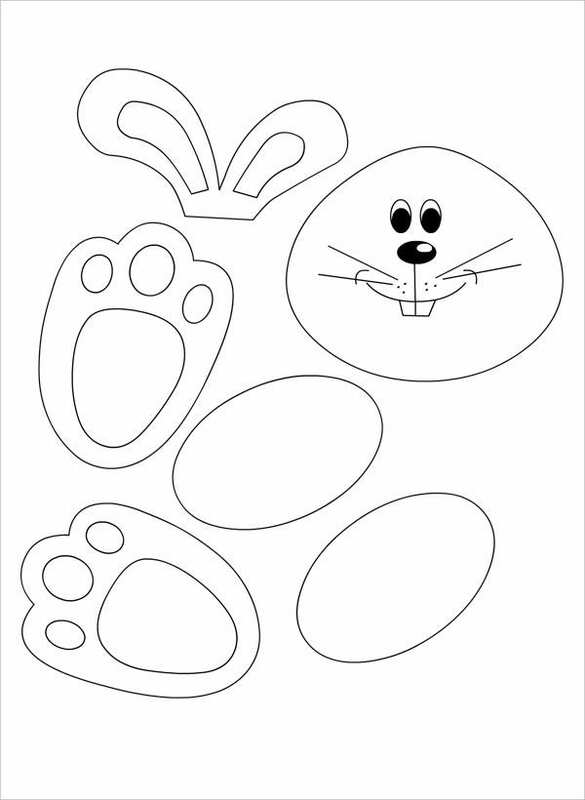 How about templates for Easter party decorations and gifts? 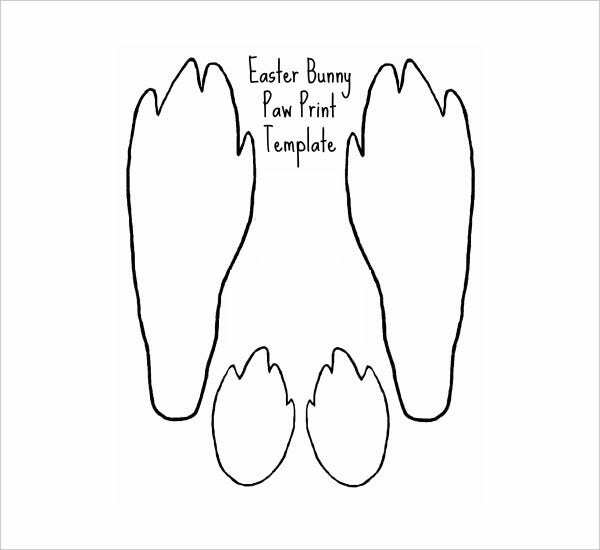 The Bunny Paw Print Template is a sweet idea you can use for your greeting card designs and gift basket ornaments. 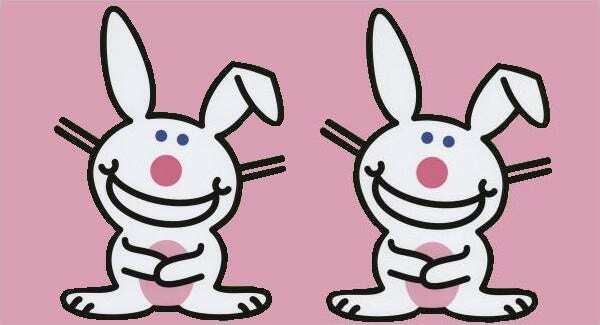 You can even make several cutouts and leave an Easter bunny paper trail to lead your kids around on a treasure hunt. 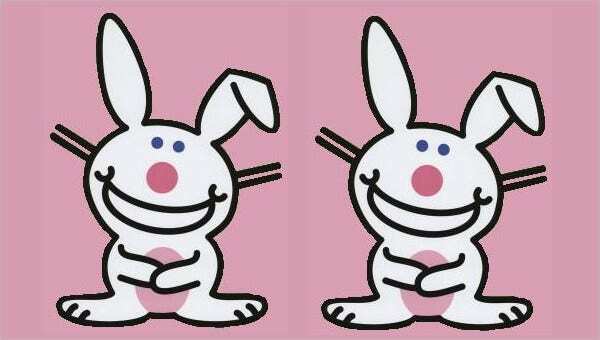 For other design ideas, consider using the realistic Bunny Silhouette Template or the cartoon Blank Bunny Template. Can also be used to make party stickers, buttons, or badges. Once they’re done, you can always return here for even more options. It won’t take you even two minutes to select a new project to download and print. Easter is filled with celebration of springtime, youth, and new beginnings. As adorable as the rabbit is, you don’t have to limit your craft options to this bouncy animal. You can find even more animal templates in our archives for all sorts of projects, for you and your kids. 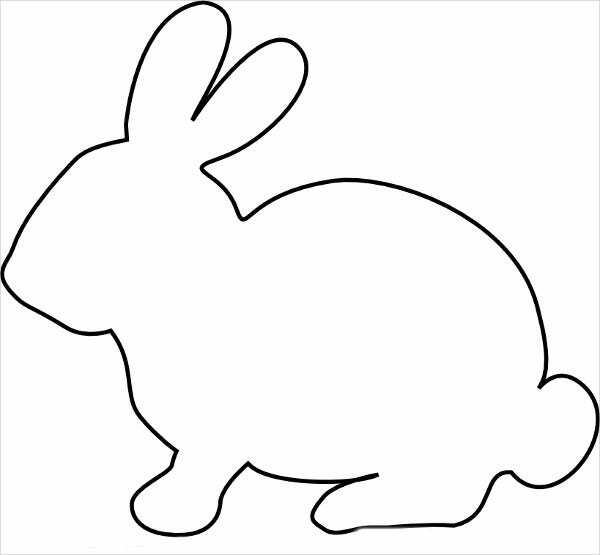 Just for starters, check out some Farm Animal Templates and Animal Coloring Pages. Need anything else? Hit up our archives and find what you need!